Your kids will love this place. 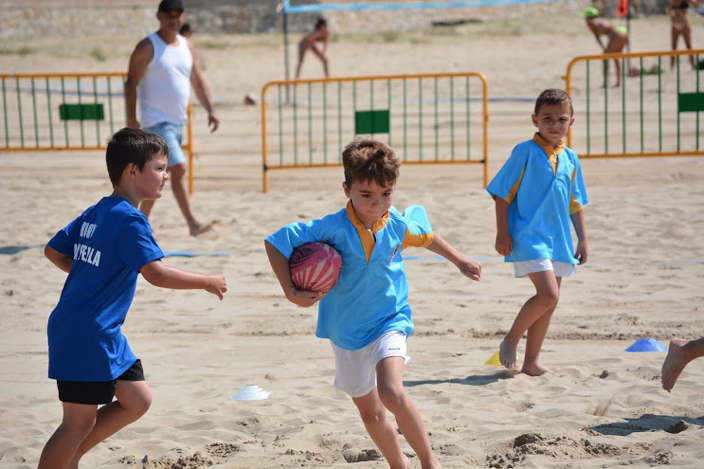 It has showers, first aid service, chiringuitos open until sunset, a beach volleyball and soccer field, and places where you can rent skates, jet skis and kayaks. Be sure that, with all these activities, your little ones will never get bored. 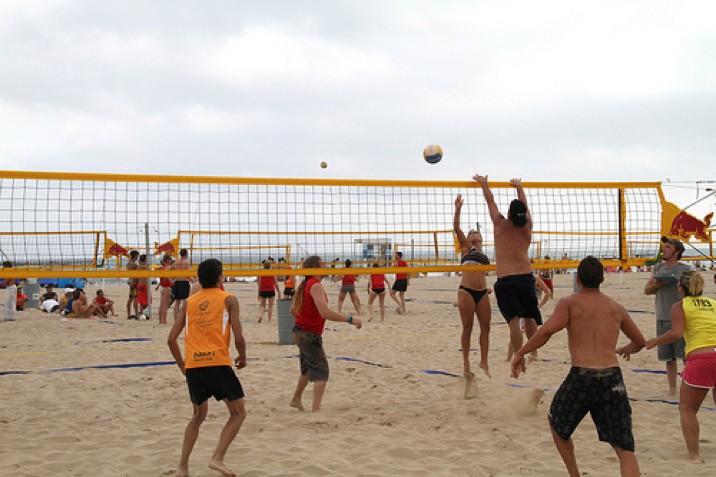 Since the beach is urban, access to it is very simple, both by public transport and by own car, which can be parked at the seafront or in the surrounding streets. But there is more than just amusing activities. 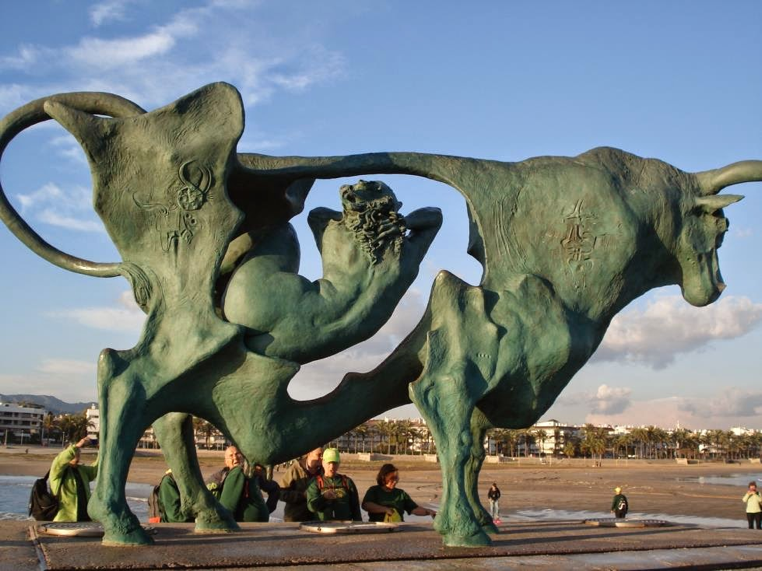 The main icon of this beach, which has become a reference for Vilanova i la Geltrú, is the sculpture dedicated to Pasífae, Greek goddess mother of the Minotaur. It is made by the sculptor Òscar Estruga, with more than three tons of bronze and can be seen on top of a platform at the end of a narrow strip of sand, almost in the water. The Parc of Ribes Roges, which is only a few meters away from the beach, is a green area with numerous trees and gardens. This is a perfect place if the kids need a break from the fun and exhausting activities. Inside the park there is a miniature train circuit that runs during the weekends and allows a tour for both adults and children. 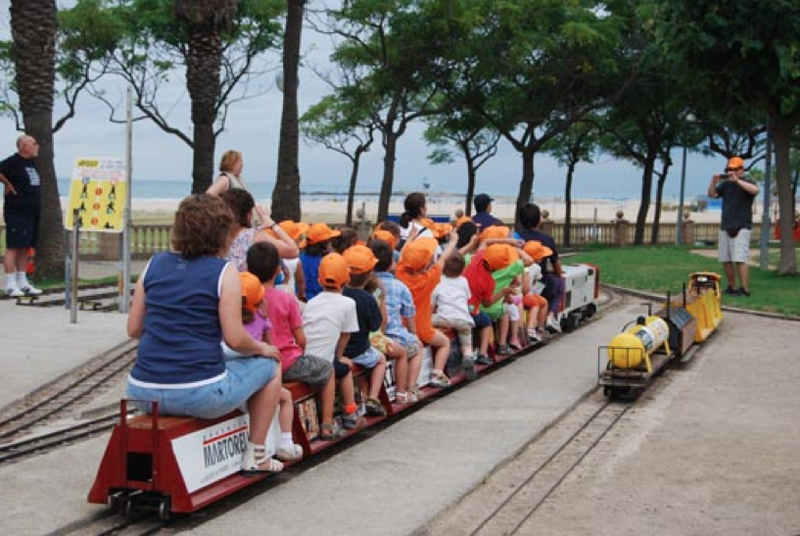 In this park you’ll also find the center of the Nautical Station Vilanova i la Geltrú, where you can ask for information about water sports that can be practiced in the city, among other tourist options. Book your familial room now! Wow! This is great jet ski rental barcelona. Thank you.